The College Park 5k didn’t feel like any race I had run before. 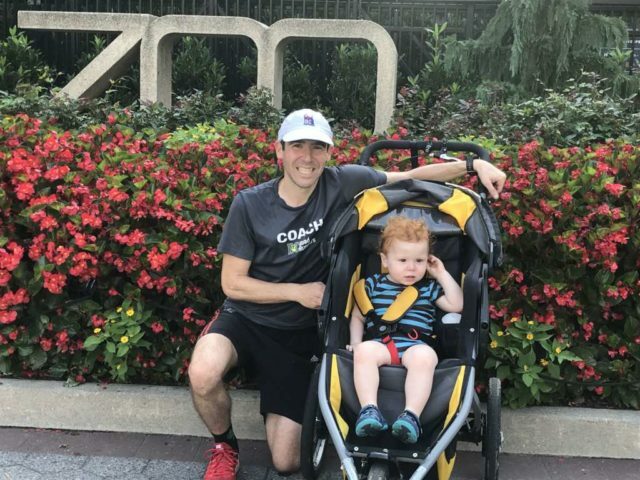 Sure there were cones, a course, other runners and a starting line, but right behind that starting line, my son Miles was sitting in our running stroller. It wasn’t that long ago that Saturday mornings meant an early wake up for long runs with my club, followed by brunch, a nap, then hitting the bars at night. Now, I ‘m up just as early but it is to turn on Elmo and Sesame Street for Miles, while my wife and I get a little more sleep. Then we hit the road for a run, me pushing him.